Celtic Dragons is pleased to announce that it has joined forces with Cardiff Metropolitan University ahead of the 2019 Vitality Netball Superleague season. Cardiff Metropolitan University will now become the official training home for Celtic Dragons, providing all aspects of high-performance support for their future Superleague campaigns. The partnership means that the University’s Cyncoed campus will host on court training and all elite performance support services, via its range of industry-leading facilities, including the Archers’ Arena double netball court and Cyncoed Fitness Centre. These facilities will prove invaluable as the Dragons face another competitive year in the Vitality Netball Superleague, under the new tenure of New Zealander, Tania Hoffman. 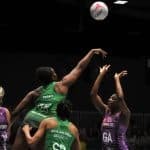 The partnership between Celtic Dragons and the University will further strengthen the status of netball in one of the UK’s leading institutions for university sport and provide world-class support services to the Wales-based franchise. 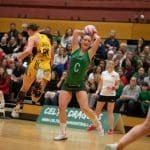 Sarah Jones, Welsh Netball CEO said: “Celtic Dragons is always striving to innovate and grow, so forging this new partnership with Cardiff Met is an exciting development for the franchise. “Cardiff Met’s School of Sport and Health Sciences is led by an ambitious leadership team, supported by very knowledgeable and skilled staff. The University’s vision for women’s sport aligns with our own and their world class support and training systems can help drive future success for Celtic Dragons. Ian Kirkham, Celtic Dragons’ new Physical Preparation Lead also shared his excitement ahead of the new partnership. He said: “As netball in Wales evolves and move forward, the expertise and facilities at Cardiff Met will revolutionise the Dragons’ performance programme.